Everything worked last Friday on a short trip up to the mountains. Since then, nothing on the control panel for the heating/AC works. Not the fan in any setting, not the rear defroster button, not the AC button. The mode selection buttons does seem to engage the proper mode setting when switching from heat to defrost, etc, but nothing else does anything. It is below freezing in Denver and I cannot defrost my car enough to see to drive! Help! 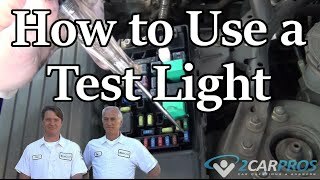 This sounds like you have a blower motor that is not working but to be sure lets run down this guide which will show you how to use a test light to check for power and ground. Here are diagrams on how to replace the blower motor for your car. Check out the diagrams (below). Please let us know what you find. The blower does not work on any speed. So I checked it out and found the motor has bad I got a new one for $56.00 and BAM, all fixed thanks for you help. Love this site. Good to hear, please use 2CarPros anytime we are here to help. The heat stopped blowing then started again but a lot weaker than it should be. Not sure what to do. Connect blower motor to 12 volts using fabricated pigtail. 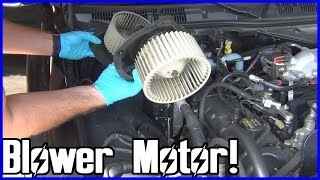 If blower motor runs full speed then most likely you have a bad blower motor resistor, or a bad switch that activates blower. If blower motor does not run at full speed, then the motor itself is bad. Heater fan works on only high and stops day time running lights from working. 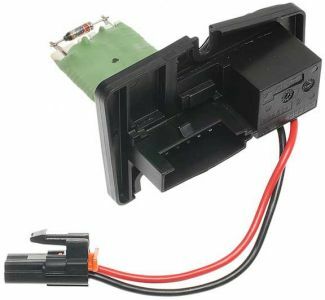 Change the blower motor resistor, if daytime running lights are still not working, repost. Six cylinder front wheel drive automatic. Blower fan for AC/heat defrost only works on high. That is nearly always caused by a bad blower motor resister. It's located in the blower housing under the dash on the passenger side, right next to the blower motor. 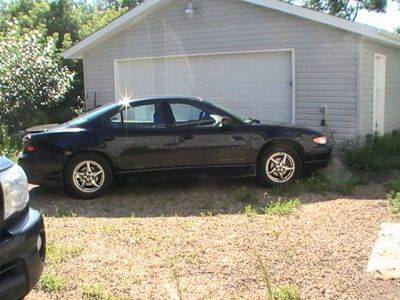 Hi, bought this car to fix the couple small issues and help out a friend. Being a single woman I would appreciate some guidance before I take it for estimates. Have had some interesting experiences with being told repairs range from $100.00 to $2,500.00 on last older car (for same job, was only the small repair needed). Anyhow, when the A/C is on the water drips inside the car on the passenger side under the dash type of thing, probably a leak. Is this major surgery? The main issue though is that the interior fan is going. The A/C and such work but the blower does not. Maybe wiring as the thing might kick in once and a while (bought the car from someone I know who had it the last year). Can live without A/C but not defrost once winter comes. So want this fixed. I am just worried about someone telling me I need huge repairs as I really do not know what kind of repair needed to get fan going. The car is the GT model loaded. Everything else works except the digital display for time and radio station and now the interior fan. Motor could be going out due to the moisture in the case. It is probably a plugged evaporator case drain they can possibly get it clean without tearing the duct work apart. If they cannot they have to take most of the dash and duct work apart which is a decent amount of work. If you want to cheap on it you can drill a hole, drain it and then seal the hole. Put in a new blower motor and just do not use the A/C and defrost will work good. A/C is only time you get moisture in the vents. Was thinking it cannot be good having all that moisture under there and that is when she started having problems with the car. Yah, I am blonde, lol. Thank you for your advice, much appreciated. You can drill it anywhere in the lower part of the EVAP casing where the water is sitting. If that is the route you want to go. How I would love to take a drill to it, lol. But will take it for estimates first. Like I posted before, you would laugh at some of the things I have been told. Only problem is me with a drill. I might perforate a few too many things which are not EVAP casings ;) although I am quite handy. If you trace back the very few problems with this car, they all started with the moisture. If they did have to pull the dash apart how huge of a job is it hour wise? Depends on the mechanic. May take from three to six hours dependent on the mechanic's speed. If you want just post back on here what they tell you then I can chime back in and let you know if it is legit. Have a great Monday too. Whenever I turn on the AC or heater fan control knob sounds like a clicking or growling noise. When I turn the knob off it stops, turn it on the clicking and growling noise starts again. This is a puzzle to me. Help! Most likely the blower motor fan wheel is loose or there is debris in there. I sure appreciate the help. Will hopefully get some estimates soon.